I was punching Ais and I was gasping for air with fits of laughter escaping my mouth... the culprit was the guy on stage, Alex Calleja - the stand up comedian aka "The Master." I don't remember laughing that hard in such a long time and it felt goooood. Have you laughed like that lately? To be laughing so hard, your stomach hurts! For those who would like to have an alternative type of Stand Up Comedy compared to the mainstream type of Stand Up that you watch at Comedy Bars. The jokes we do are everyday things, stories, personal experiences, points of view. We don't look to insult the crowd for laughs. If you want to this type of Stand Up Comedy to spread out and be accepted in the country, then like our page, watch our shows and laugh with us. My friends and I had a great time last night! 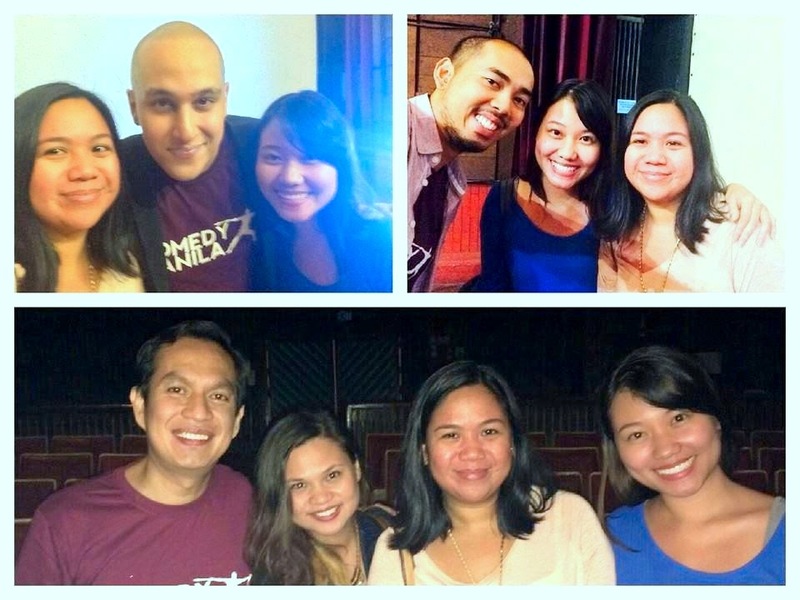 Much comedy love going out for Comedy Manila!